Osteopathy is a safe, effective, hands-on, natural solution to the treatment and management of acute or chronic pain. Osteopaths are skilled health care professionals who undertake a rigorous four year degree course to enable them to recognise and treat many causes of pain, from muscles to ligaments and nerves to joints. Osteopathy is suitable for people of all ages and backgrounds, ranging from babies, elderly, office workers to amateur and professional athletes. Osteopathy is a 'package' of care that includes skilled mobilising and manipulative techniques, reinforced by guidance on rehabilitation and exercise. Treatment involves gentle, manual techniques - easing pain, reducing swelling and improving mobility, allowing you a quick return to normal activity. Our Osteopaths use a wide variety of treatment techniques ranging from joint articulation/mobilisation and manipulation, soft tissue massage/trigger point and myofascial release, muscle energy techniques and cranial osteopathy. One of the main purposes of osteopathy is pain relief and improved mobility. Osteopathy helps people of all ages who suffer from acute or chronic pain, tackling complaints ranging from sports and work-related injuries to arthritis and sciatica. The skilled techniques of osteopathy can often allow you a speedy return to normal activity. Osteopathy is effective in assessing postural problems and associated pain. As a general rule, poor posture is caused by a mixture of bad habits and bad environments. If you work in an environment that means that you have to remain seated for long periods of the day (such as sitting at a desk or driving) then you might consider seeing an osteopath to help improve your posture during the day. 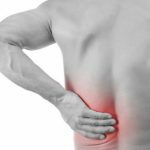 Our osteopaths can advise you on ways to improve your posture to prevent future back problems and/or to alleviate any aches and pains that you have already developed. Our modern, sedentary lifestyles have a profound effect on the development of back pain; indeed one of the most effective ways of preventing it is simply to stay active. An average adult in Singapore spends at least six hours a day in front of a computer screen or television set, and back problems can be triggered if they don't sit properly. 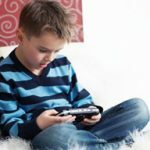 In an age of mobile phones and computer games, such troubles are increasingly inflicting children of school age as well. Sports injuries are basically injuries that occur during sport or are associated with long term participation in sports. These injuries are usually grouped into the acute and chronic injury lists. An acute injury is usually one that happens suddenly and is normally caused by trauma and force. This is often caused by being hit by another player or piece of equipment or due to sprain or strain. A sprain affects the ligaments connecting the bones and a strain is a stretch or tear or of the tendon and muscles. Chronic injuries and pain refer pain that develops over a longer period of time and physical injury that constantly reoccurs and or is persistent. Many of these may seem mild over time and become worse or just cause constant discomfort whilst playing and or after sports. These are just some of the common injuries treated at the Osteopathy and Podiatry Centre by our Podiatrists and Osteopaths. However there are many more injuries we can help treat and get you back to playing the sport you love pain free. Pregnancy is a time when women are more aware of the workings of their body. It produces the largest postural change that a woman's body will undergo. For many years, osteopaths have used their skills to help relieve the aches and pains caused by weight and posture changes during and after pregnancy. For many women pregnancy means having to cope with a whole range of symptoms from back pain to morning sickness. As the baby grows in the womb, its extra weight results in a changed centre of gravity and posture changes from week to week. This can lead to a variety of aches and pains. As breast weight increases, this also causes changes and pain may occur in the upper back and neck. Osteopathic treatment through pregnancy is a wonderfully gentle way of helping the body adapt to the changes which are taking place. The safety of mother and baby is the osteopath's first concern. Osteopaths can help you to change your posture and learn to use your body correctly through pregnancy. Our Osteopaths can also help to ease other side effects of pregnancy such as heartburn, indigestion, constipation and pain in the buttock, groin or leg (commonly called sciatica). Some patients, too, report reduced morning sickness after osteopathic treatment. Osteopathic treatment during pregnancy is not new. For many years, osteopaths have used their skills to help, employing a variety of gentle techniques to ease supporting muscles and ligaments. Every pregnancy is 'special'. Osteopaths focus on the mother as a person and take account of her emotional state and other factors as well as her physical condition. Treatment may be supplemented by exercises and other forms of self help which the osteopath may prescribe for the mother to do at home. After delivery it is advised that mother and child return for structural examination, advice and check ups and, if necessary, for treatment. Osteopathy is an effective and natural approach to healthcare for all life stages. Osteopaths treat babies and children for a variety of common complaints, and to ensure healthy postural development. Can osteopathy help my child? Many common problems suffered by babies and children can be treated effectively with osteopathy. crying and irritability, especially when lying down. sickness, colic and wind, constipation. recurrent ear infection, sometimes with a loss of hearing and 'glue ear'. sinus problems, with a constantly blocked or runny nose. asthma and vulnerability to chest infections. Could my child suffer an adverse reaction to osteopathy? Often, after treatment, the baby or child is very relaxed and sleeps well. Others have a burst of energy, and then have a good night's sleep. Occasionally children feel unsettled, but this is a temporary situation that happens when mechanical changes are occurring, and only lasts for a day or two. At what age should my child be treated? Children of any age can benefit from osteopathy. It is never too early to start, and for best results treatment should begin before the age of five. Many of the problems that babies and children suffer are caused before, during and immediately after birth, and the child may be left with uncomfortable stresses within its head and body. These stresses can lead to problems such as suckling and latching-on difficulties, irritability, colic, wind and disturbed sleep patterns. Toddlers may suffer from difficulties with mobility and play, and they may sit, crawl and walk early, seeking movement to relieve physical discomfort. Sleep patterns are disturbed, teething may be uncomfortable and head banging or pulling at the hair may occur. Osteopathic treatment can bring about significant improvement in these cases, and has particular success in treating the problems suffered by premature babies. These babies inevitably suffer stresses and trauma during birth and then further stress from the equipment that needs to be used to stabilise their condition. Distortions to the head can continue to hinder the growth and development of a child's brain as it grows older. The child's behaviour may be volatile, and they may have problems with coordination and physical development. They may be vulnerable to chronic ear infections, glue ear, headaches, growing pains and stomach aches. The child's posture may suffer too, with the head being held on one side, or one shoulder held higher than the other. During the teenage years, the body frame undergoes a number of changes. Problems may occur because of an exaggerated spinal curve or because of mechanical changes that occur through osteochondritis - a self-limiting condition that causes a distortion of the bone. Other problems are caused by sporting and recreational activities that carry the risk of sprains and strains. If these problems are left undiagnosed and untreated they can worsen in later life. Osteopaths can help the body frame adjust to the postural demands made on it. By analysing, treating and managing problems associated with growth, osteopaths make a major contribution to ensuring that young people stay fit and healthy. 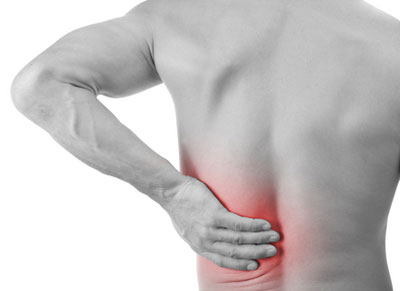 One of the main purposes of osteopathy is pain relief. Osteopathy helps people of all ages who suffer from pain, tackling complaints ranging from sports and work-related injuries to arthritis and sciatica. The osteopath’s role is to alleviate pain and improve the patient’s mobility in order to make life more comfortable. Pain is your body’s way of telling you that something is wrong. It is often caused by swelling of tissue, which creates pressure on nerves and leads to discomfort. Pain is a useful mechanism to alert you to a problem, and stops you from damaging your body further. It should always, therefore, be taken seriously. Osteopaths can diagnose the cause of pain and help to ease it by reducing tissue inflammation. Treatment methods range from massage of muscles and connective tissues to manipulation and stretching of joints. This helps to reduce muscle spasm, to increase mobility and to create a healthier state in which damaged tissues can heal. Much long-term, recurrent pain is caused by degenerative changes to the body’s framework. Nobody can reverse this process of ageing, but osteopathic treatment may still ease pain. Pain control is an important part of treatment and osteopaths give guidance on simple self-help methods to use at home. Please aim to arrive 10-15 minutes before your scheduled appointment time to allow time to find the clinic and for registration.